This is great news…we need law enforcement to continue to fight for justice in cold cases. Everyone deserves justice – the older cases have been waiting for justice a long time. The Justice for Lisa Thomas Facebook post said, “We are coming for you,” Sheriff Atkinson warned the killer, who he believes is still alive. Ronda’s getting a task force! With multiple agencies involved! 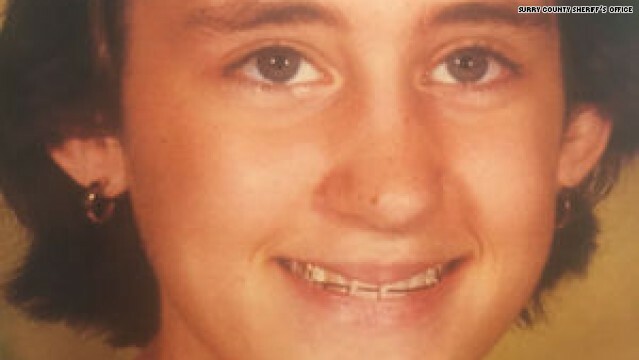 “Renewed attention in the case occurred shortly after police received a call from Rhonda’s mother asking law enforcement about the status of her daughter’s murder investigation. Within days of receiving the call, authorities said they received new developments in the case, which they cannot yet release. “Police said witnesses in the initial investigation have been re-interviewed and subsequently provided information that was not previously shared with law enforcement. The witnesses were young when the murder occurred and feared they would get in trouble with their parents or with police, officials said. Authorities added that the witnesses did not realize the importance or relevance of pieces of information they knew. Some didn’t even know Ronda’s case was still open, police said. We wish Ronda’s family the best in getting her case solved – like LIsa’s family they have been waiting way too long for justice for their relative. I am so happy for Ronda’s family & I hope Morgan’s case gets opened & Rhonda & Morgan both get justice…keep up the good thoughts. This entry was posted in Morgan's Investigation and tagged a blog about the stalking and murder of Morgan Ingram, Accountability in law enforcement, Carbondale murder, CO, Cold Case, Cold Cases, Colorado Crime, Colorado Crime Victims Organization, Colorado killing, creepiest stalker, creepy stalker, deaths from stalkers, Do the right thing, drugged and murdered, Easter eggs, For Victims, garfield county, healing horse, help find justice for Morgan, HelpFindKelsie, January is stalking awareness month, justice for morgan, Kelsie Schelling lawsuit, memories, Morality, Morgan Ingram, Morgan Jennifer Ingram, Morgan was murdered by stalkers, Morgan's reward poster, Morgan's stalking blog, Morgans Stalking, Morgan’s Stalkers, National Stalking Awareness Month 2015, Northern Colorado Crime Stoppers, paint horse, predator stalker, predatory stalking, Protecting Victims, Real Crime, Rhonda Blaylock, Serial murderers, share this poster please, staged crime scenes, stalked and murdered, stalkers murder, trinity cross, words from beyond by Toni Ingram. Bookmark the permalink.